The rumours about Kate and Meghan’s feud became even more intense when the news broke that Prince Harry and Meghan Markle making a move to their new house at Frogmore Cottage at Windsor Castle. 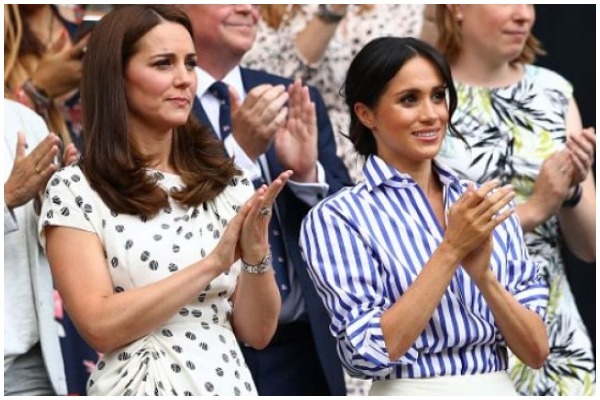 The media speculated that the reason is growing rift between the Duchess of Cambridge and Duchess of Sussex. Some some gossip columns also suggested that Kate was “left in tears” at a dress fitting for Meghan’s May 2018 wedding. Whereas, Kate was really pissed when Meghan spoke rudely with royal staff. But again, these were all in the UK newspaper. Is Prince Harry, Meghan Markle Moving To New House Because Of Rift Between The Brothers? According to multiple reports Meghan Markle and Kate Middleton were supposed to spend their Christmas holidays separately. It seems Queen herself have stepped in to to unite Meghan Markle and Kate Middleton following an alleged feud. As per the earlier reports, Prince William and Kate had planned to spend Christmas with Middletons in Berkshire with their children, while the Duke and Duchess of Sussex planned to spend their first Christmas festive period with the Royal Family at Sandringham. Fresh reports coming in says that everyone is celebrating Christmas with Her Majesty in East Anglia. If there are any cracks in the Royal family of London it cannot be held for long. All we hope is there is happiness for all of them.